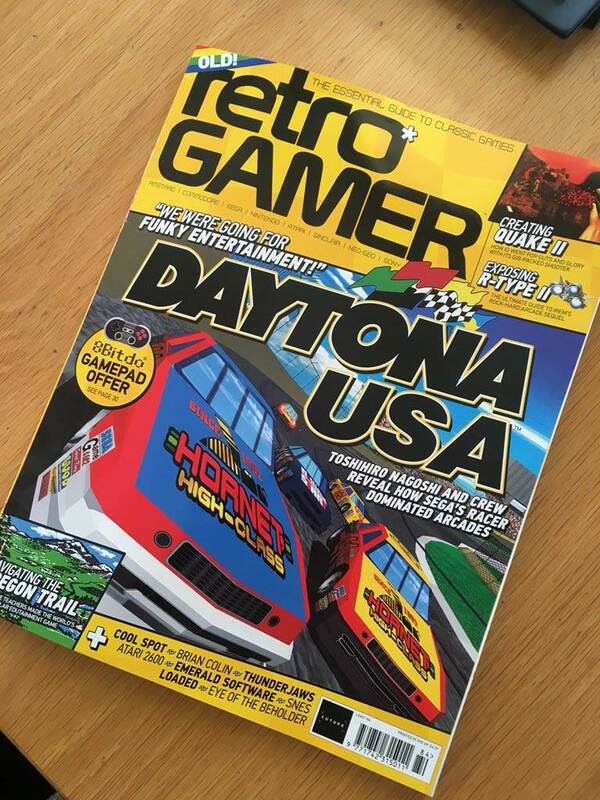 Issue 184 of Retro Gamer Magazine is out now, above you can see the subscriber cover. Not opened mine yet but don't like that cover its very bland and unremarkable, lets hope the contents make up for it. Not liking the subscriber cover at all. To me it feels that the less colour and writing they put on it, the cheaper it is to print for future. Only a couple of articles I'm interested in this month so will probably take the rest of the month to read. Can we not have an option to have the normal cover instead? I’m a fan of the subscriber covers however there’s too much yellow this month. Just a couple of small points...or call them nit picks if you want. Just observations, not criticisms or argument starters. If anyone feels the need to want to start one go right ahead you won't get one from me. Also note nothing political intended here just simple geography. 1. Re 'Unlicensed to Thrill' - Both Poland and the former Czechoslovakia are in Central Europe not Eastern Europe. I have lived in and travelled quite widely in Poland over the last 10 years or so and have found (with no exceptions) that they deeply resent being referred to as 'Eastern European'. It assumes a connection with the old Soviet rule and they don't like to be associated with that in any, way, shape of form. Also, curiously, in all my years there i've not met anyone who knows about or have seen an Atari 8 bit anywhere? Pegasus branded Famiclones appear to where it's at in Retro gaming there. 2. Re 'Emerald Software' - They were based in the Republic of Ireland. As i'm sure you are aware 'Ireland' is an island not a country. The correct term therefore should be the Republic of Ireland or the Island of Ireland. Obviously the use of 'Ireland' to mean the Republic of Ireland is commonplace but it is still wrong. For most of us (including me) who live in Northern Ireland it's a very important distinction. Just my 2 cents worth. It's not something i'm losing any sleep over so keep up the good work. Another good issue. A very interesting article about Daytona, the fact you interviewed so many of the guys who worked on it was definitely a plus. I for one love the cover, both the style and the minimulist nature of it. I understand others saying that not having anything on these that suggests what other topics etc. are covered in the magazine is an issue, but I'm reading the magazine anyway so I'll find that stuff when I open it up. Decent issue for me this month. Love the R-Type II article, stuff like that makes me want to go back and play that game again. Plus R-Type II on the Gameboy was brilliant, again just reminds me to go back to it. Every single one of people I interviewed referred to it as Eastern Europe. As do all my Polish and Czech friends. As for the second point a quick Google would more than prove how huge the Atari scene is in Poland and the Czech republic. Poland even has several big annual Atari expos including Wapniak and Sillyventure. Maybe you should check out Atari Online who helped me massively with this article. Really enjoyed the Oregon Trail piece. Good to see some new writers too. "This month X has been collecting game gear games"
you're making the mistake of assuming the grumpy and constantly complaining people on these forums are representative of the general public buying the mag. Its not even close to being a good representation, from my experience of talking to people about it on places other than these forums. The bottom line is if there wasn't good content the wider public wouldn't buy the mag and it would be cancelled.